This record, which sees a heavy pressing re-release is the sole document of the work of a legendary musician. 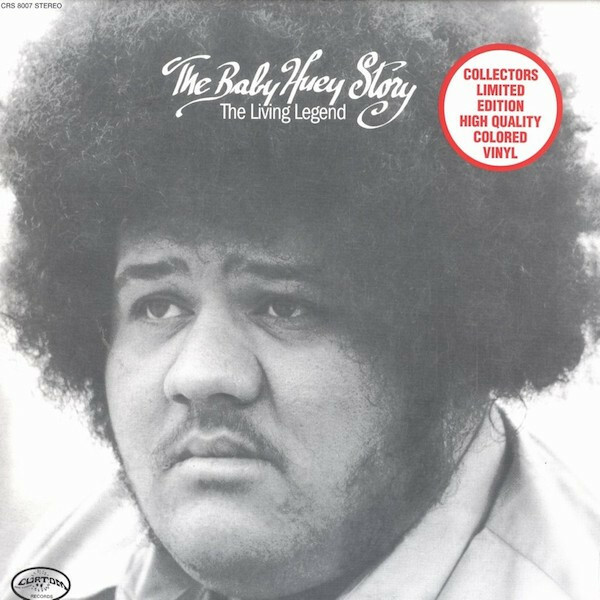 Baby Huey was a big huge man who made big huge music. Huey (birth name James Ramey) passed on before he was able to follow up this classic LP, but far from rare, the appreciation for it has deepened with each passing year. Hip hop diggers know. Classic rock heads know. Funk geeks know. Limited release of 1650 copies worldwide! Get right or you’re gonna get left! If you’ve ever danced to a disc jockey, in a room of sweaty pill popping music enthusiasts, you have the Northern Soul movement to thank. A bunch of freaked out record collectors in England became obsessed with forgotten American soul sides and created a sub-genre and a movement that changed how we enjoy recorded music. Most of all, the songs that made it into the cannon all had to be bangers. Propulsive beats driving earnest tales of love. American soul filtered through the English dancefloor. One of the most romantic songs of all time, reworked so that we all can be healed in this turbulent summer of 2018. This is another release from the masterful remasterers at Soul Jazz records. Five different 7″ records come in this box, so expect the finest in funky African fusion as selected by the unquestionable experts.